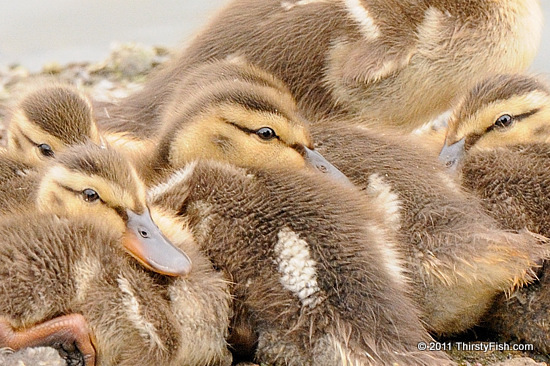 A duckling is a baby duck in a downy plumage. These cuties are mallard ducklings. Down is the layer of fine feathers found under the rough exterior feathers of birds. Baby birds are cloaked in down when they are young. When dry, down is an excellent thermal insulator. It is used in pillows, bedding and jackets. When wet or compressed it loses its insulation properties. Animal welfare groups have been trying to raise awareness about the cruelty of live-plucking birds in order to harvest down.